Got me a new toy!!!!! Take video! And enjoy! May you have lots of calm winds this weekend. Looks like fun! Nice front yard too. Double check your CG, it looks like it might be a little tail heavy. Perfect weather at dusk tonight so out came the champ in the back yard.... 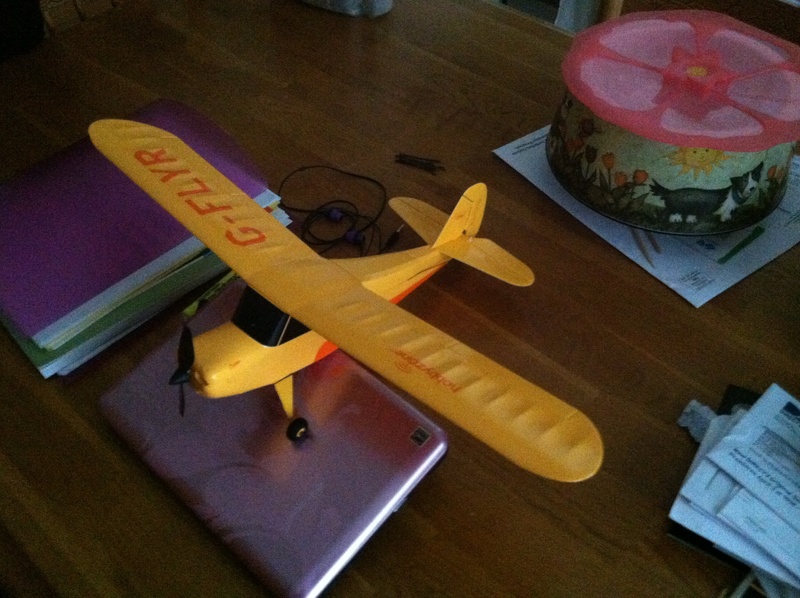 I love flying this little thing!!!!! I need to adjust a few things. Its trimmed all the way to the right so it will fly straight. Would a little weight on the right wingtip help correct this? The elevator is trimmed down a bit. I might try and add a little weight to possibly fix that. The prop is on a downward thrust angle. Before you start adding weights a suggestion if I may. Fly the plane in a wide open space so you can take your time seeing how it fly's without having to react to turning, pulling up, etc... its really hard to trim a plane in a smaller area. I'd also take a good look at the wings, elevator, and rudder head on and see if they are level and straight. Aside from that I know Josh B has mentioned the smaller planes are more likely to be pulled by the torque of their motor which could be why its pulling to one side. Just trying to give you some ideas on what could be going on from what Ive read and seen around these parts Im no expert by any means. Check the wings, make sure they're not warped. I had painted the box it came in all black, and used it as a carrying case. I left it in the back of my car in the Florida sun, and the wing had shriveled. Well I have to report it slope soars great. No wind when I started flying and out of nowhere..... Whoosh. 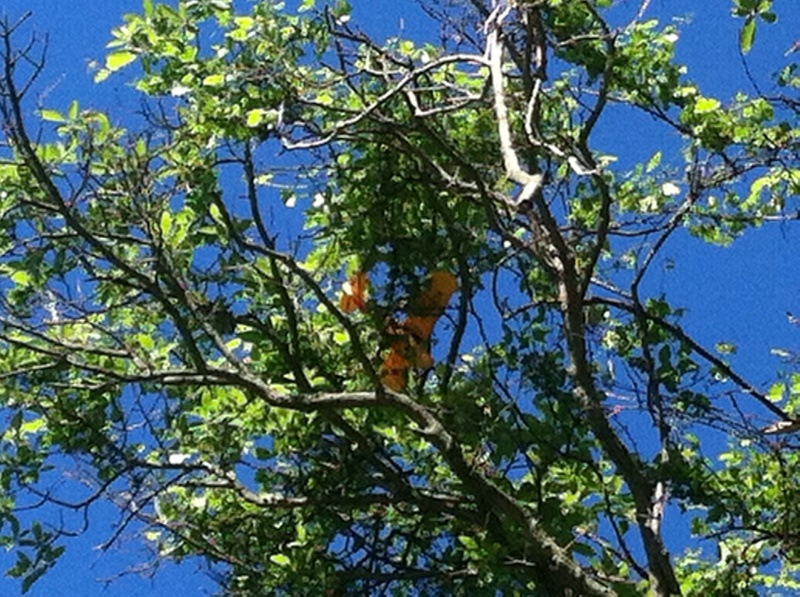 Well I couldn't force it into the ground and now it's 100 feet up in a tree on the side of the road. Oh and power lines are right next to the tree. My condolences. The current situation is going to make it really difficult to further analyze its flight characteristics. Trees are bad, trees with power lines next to them are even worse. 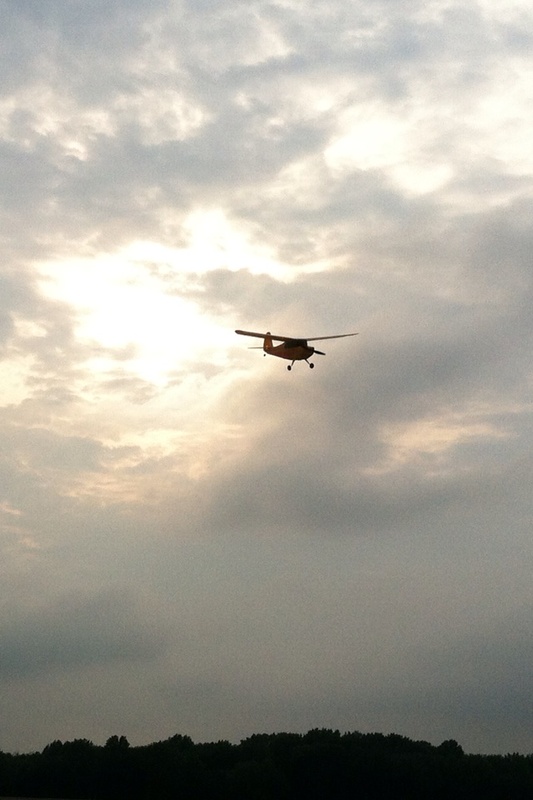 Pulled out the other one and got it flying. This one flys like a dream. Brought it to work yesterday flew it a bunch, few coworkers flew it and are thinking of buying one. I do know going down wind it can keep up with a slow moving pick up. Used up a whole battery doing touch and go's. Good on you Sir. Sounds like the one eaten by the tree had issues if this one is flying true.